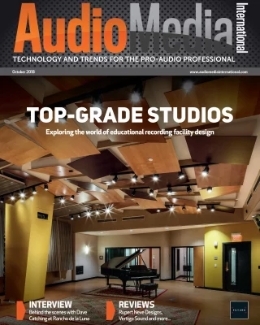 Antelope Audio has a significant reputation in the worlds of clocking and conversion, writes Alistair McGhee. 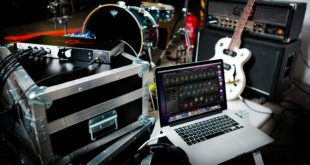 In Zen Studio the company is attempting to combine some of its existing expertise into the well-worn area of USB 2 audio interface design. Now USB 2 audio devices have been around for ages and how could we possibly get excited about a new one? 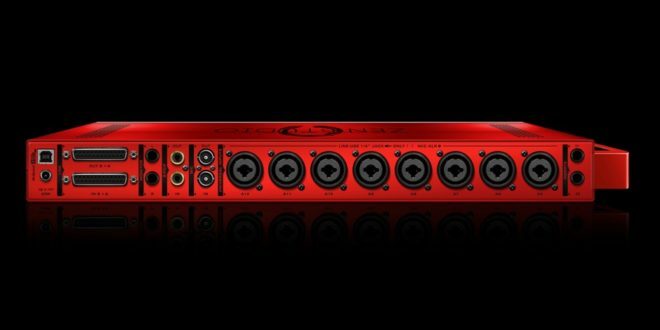 Well Antelope’s answer to this involves chucking the kitchen sink into an audio interface portable enough to pop into your back pack but powerful enough to crush all opposition. So what’s in the Zen Studio’s kitchen sink? 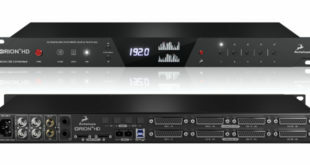 Here we go: 12 mic/line inputs, four of them capable of being instrument inputs; eight other analogue line level inputs; stereo monitor outputs and two independent headphone outputs; eight analogue line outputs; two ADAT in and two ADAT out, stereo SPDIF input and output on coaxials and two TRS inserts. And word clock in and out, and 16 channels of onboard DSP processing, all powered by a custom FPGA. My, my! The washing up is going to take ages! On the sample rate front the Zen will run up to 192kHz – at this rate your ADAT total will be reduced to four in and four out, but your 20 channels of analogue input will still be 20 channels of analogue input. And more to the point your USB 2 pipe to and from the computer will still be 24 channels wide. Controlling all this power requires a software interface and there are panels for Windows/OSX. 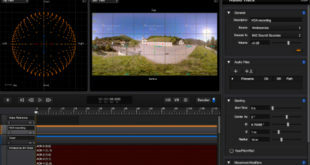 Zen Studio also works with iOS devices; in this case only the front panel is used for control. At my Windows 7 Pro 64-bit install I had to reset my review model Zen back to absolute zero (ie, as it would be new out of the box) to get everything dandy. In record operation the Zen Studio was rock solid: three hours of 24-track 192kHz without a glitch and that on my rather tired old i5 2500K to a not much younger Samsung Spinpoint 1Tb. On my 2010 Core 2 Duo MacBook Air Reaper did 24 tracks of 96kHz at 24 bits without a problem, in fact 24 tracks at 192 also ran fine – this to an OWC 240Gb SSD drive. Looking around for something to compare mic amp quality with I came up with the RME Micstasy, eight channels of very high-quality mic amps based on Burr-Brown PGA2500 digitally controlled mic preamps – the same chips used inside the Zen. I didn’t have time for exhaustive testing but in a vocal shoot out using matched 414s it was, as you might expect, very close. A pretty good implementation then. I just had time to swap in an Audio Developments AD066 which I’m very fond of. Maybe I preferred a slight leaner sound in the Audio Developments but to be honest I would be kidding myself if I thought I could AB them blind and pick out one or the other reliably. Finally I reached for my Mindprint DTC, again too close to call really – maybe the DTC edged it, but it could be nostalgia. So the mic amps in the Antelope are very good. You get 65dB of gain and it’s all useable, these are low noise mic amps even flat out. The control panel has lots of features, one of the most obvious being a live reminder of software and firmware updates, and I applied both without difficulty. You can control some functionality from the front panel of the Zen. You have three buttons (note there is no power off switch – if you want to do that you need to pull the power plug – DC wall wart I’m afraid but at least the power connector is locking) and a rotary with visual feedback from a small but nicely readable colour screen. Your basic info screen has Sync Source, sample rate and levels for the three monitor outputs along with the jacks on the back and the two headphone outputs on the front. You can access mic gain of the 12 mic inputs (and here you get on board meters), the clock source, sample rate, and a couple of other system settings from the front panel but really the sheer number of features on the Zen means at the moment you really do need computer control. Zero latency monitoring is available via the four onboard DSP mixers, which are independently routable to your monitors and headphones. Talking of latency, the control panel offers several streaming options, from a minimum setting that gets you down to 64 samples to an extra safe streaming mode which is when you’re recording for keeps and only have one hit. The top section of the control panel allows you to see a bank of inputs at all times, preamps, line inputs, ADAT or SPDIF, which is great. My old tired eyes found the level metering could do with a little more contrast here as the meter bars are necessarily on the thin side. Routing is drag and drop, anything to anything, nicely colour coded and works well. I think it is fair to say that as a new product the Zen Studio has software that is perfectly functional but there is more to come and more to be done. [A new enhanced version of the control panel based on customers comments wa sabout to be launched as we went to press – Ed]. I found a metering anomaly on the preamp inputs at line level and I’m sure users are knocking on the Antelope door for interface tweaks (for instance something to make handling multiple channels in the mixer easier) and more DSP options. 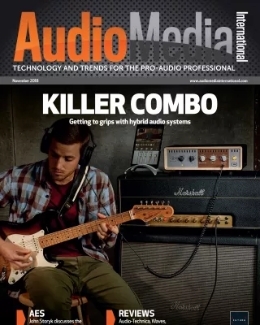 EQ and Dynamics are a good start, though I think the compressor could be easier to use. Reverb I understand is coming soon and delay would also be nice as would MS processing and, well, all the usual DSP stuff. 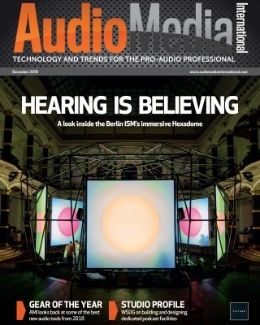 I’ve managed to get to the end of the review without dwelling on two of the most controversial aspects of the Zen – it has no rack ears, and worse in some people’s eyes, it has a handle at one end and the ADAT connectors at the other. If you read the forums you’ll find a few rothers, being much the same people who obsess over whether the mic amps sound like Neve or APIs. To be honest I could handle it, but then I wasn’t racking it. Antelope says this is a box to go on the move with, hence the handle. It is also shipping a custom rack mounting kit that allows racking of the device for £59. A protective case is also available. 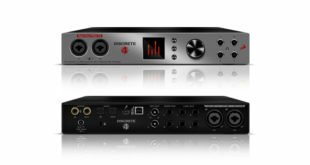 In summary I think the Antelope is a brilliant box – huge analogue connectivity and USB bandwidth and sounds great, with quality mic amps and convertors. On top of this foundation FPGA inside means serious room to grow as far as DSP is concerned. I love it. I think I will hang some cables through that handle, just for the hell of it.